Use sensors for area and zone monitoring! With area guarding of plant and machinery it is essential to reconcile safety, user-friendliness and productivity. Use optical safeguards for area guarding when people need to enter danger zones frequently or when material needs to be transported in or out. Light grids, laser scanners, camera systems and pressure-sensitive safety mats are the optimum devices for area guarding. Transporting products in and out involves active intervention into the production process. 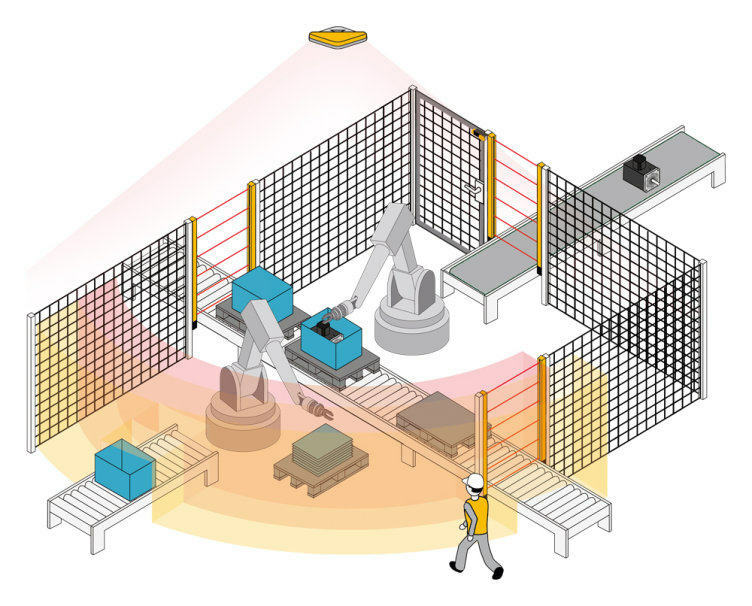 In this application safety light grids are the ideal choice, as they safeguard people and capital goods from danger zones using their invisible infrared detection zone. 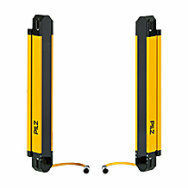 They are positioned at access points to danger zones and register when persons or objects are inside the detection zone. If a light beam is broken, a safe shutdown command will be triggered immediately. Plant and machinery are then stopped. Depending on the requirement, light grids provide finger, hand and body protection in accordance with EN/IEC 61496-1/-2. They have short reaction times in the millisecond range, although these increase depending on the length and number of beams. In order to maintain detection mode and still guide material through the light grid, advanced functions such as blanking, muting or cascading have become established. Laser scanners are used when areas in front of machines are to be safeguarded. In this case, a laser beam scans the area that is to be monitored. For example, it there are people in this area, the laser scanner will detect this because the laser beam is reflected by the foreign body. At this point the hazardous movement is shut down. The distance from the object is calculated by measuring the time difference between the light pulse being transmitted and then being reflected back. In order to detect objects in different directions, the laser beam is cast via a rotating mirror. 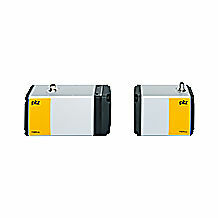 As a Category 3 safety product in accordance with IEC/EN 61496, safety laser scanners monitor two-dimensional areas. 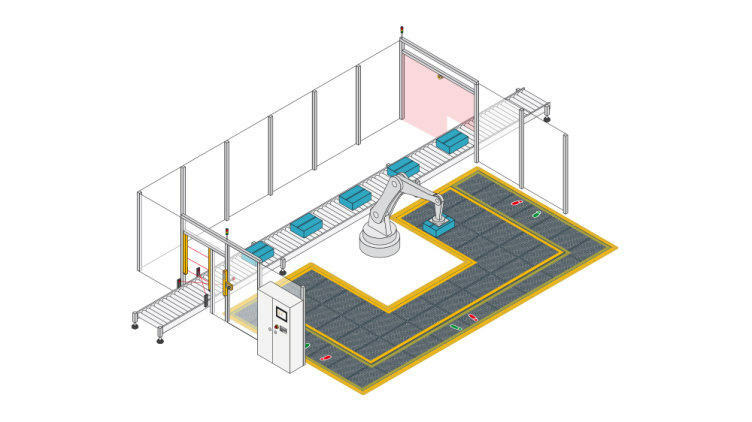 Applications are versatile, ranging from stationary area monitoring to automated guided vehicles (AGV) and the safeguarding of robot applications. Above all, protection against encroachment behind the protected field has become more significant in recent years: often it is not enough to safeguard merely the access point to danger zones such as a robot cell (passage control). The space behind it also needs to be monitored because a machine restart needs to be prevented for as long as anyone is present in the danger zone. In contrast to key transfer systems, operation can be resumed seamlessly if the danger zone has been cleared. To monitor large-scale and complex applications, safe 3D camera systems are the ideal choice; they can be used to configure monitoring areas freely. The areas to be monitored can also be switched, activated or deactivated dynamically during plant operation. In contrast to simple sensors, safe 3D cameras record and analyse detailed information about the whole monitored area. And they must meet the requirements of EN/IEC 61496 in the process. For safe zone monitoring, the sensing device is positioned above the zone to be monitored. Warning and detection zones are defined along the envelope of the danger zone. The sensing device detects objects or persons that encroach into a warning or detection zone. The analysis unit receives and processes the image data from the sensing device and sends the results to the safety controller. As such it is the interface to the machine controller, ensuring that the machine movement is slowed down or stopped if warning and detection zones are violated. 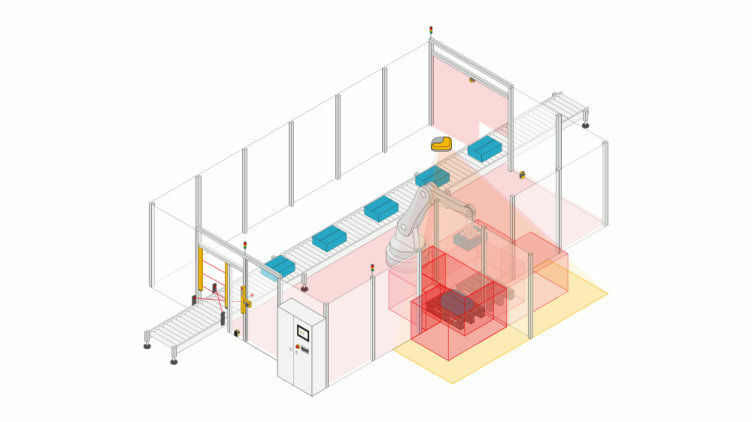 The application areas for safe 3D camera systems are many and varied: In areas in which human and robot work hand in hand, 3D cameras for safe, physical access monitoring are the ideal choice. Telecentric camera systems are ideal for the safe monitoring of press brakes, as they always depict objects as the same size – independent of the distance from the camera. They are installed on the upper die of the press brake and so travel with the upper tool. By constantly synchronising data between the press brake's CNC controller, the safe controller and the mobile camera system, the safe controller reliably calculates the current position of the upper tool above the plate. 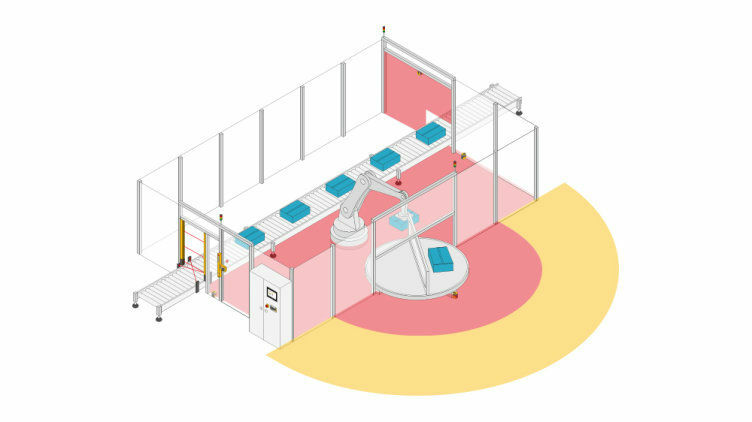 Depending on the detection zone range, even special purposes presses such as tandem presses, for example, can be monitored without problem. The camera-based protection and measuring systems detect even the smallest foreign bodies in the protected field between the transmitter and receiver. 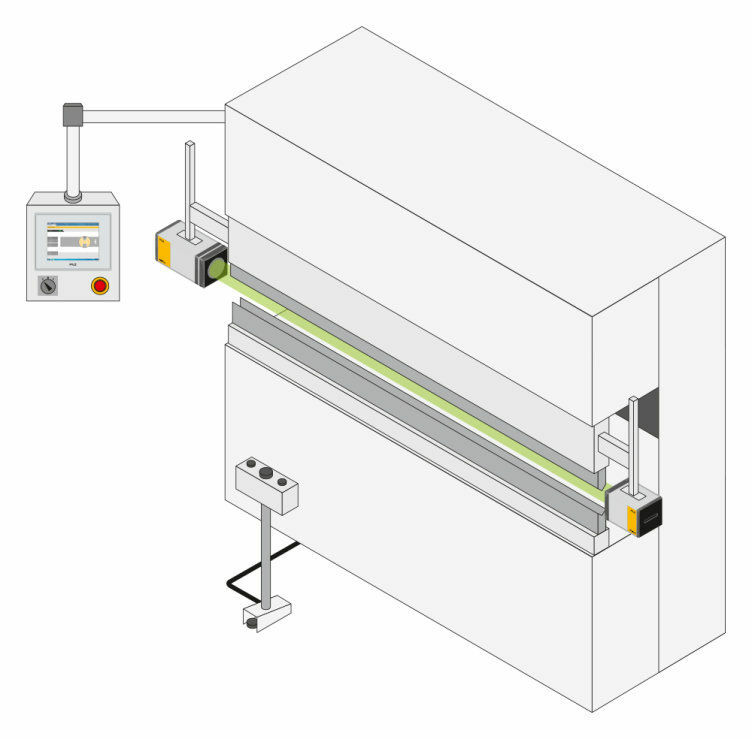 The light beams are transmitted from the transmitter to the receiver via a telecentric lens, which is positioned on the opposite end of the press brake. The detection zones are installed in front of, behind and below the tool. 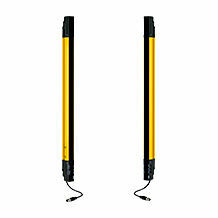 This prevents anyone from intervening dangerously during press braking - from any side. 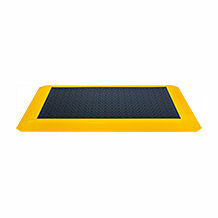 Tactile sensors, such as pressure-sensitive safety mats, are particularly suitable for safe area monitoring. Pressure-sensitive safety mats are pressure-sensitive safety devices, which react to contact or pressure and meet the requirements of EN/ISO 13856-1. You can safeguard danger points and danger zones by reliably detecting the person's position on the pressure-sensitive mat and then forwarding the position data to the safe controller. Pressure-sensitive safety mats slow down or stop plant and machinery when someone enters the danger zone (=access protection) and also provide protection against encroachment behind the protected field. After all, it's essential to monitor not only access to the danger zone but also the zone behind it, in order to prevent the plant or machine starting up unintentionally. Pressure-sensitive safety mats are mainly used in complex applications where there are lots of obstacles and visibility is restricted, by dust and dirt for example. They are also suitable for protecting workspaces shared by humans and robots. With safety-related equipment on machinery it's not just the individual components that matter but also the way in which they interact! If you source sensors and evaluation devices from a single manufacturer, then the interfaces between the components will already be perfectly compatible. 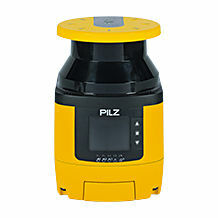 Why bother poring over data sheets and reading complicated tests: use a complete solution from Pilz! PSENopt are ideally suitable on machines where intervention is required as part of each cycle, such as insertion work, or the infeed and outfeed of material, for example. The three versions of the light barrier – "Basic", "Advanced" and "Slim" – offer maximum flexibility for each application. PSENvip are used for safe visual monitoring of press brakes. When installed on the upper die of the press brake, they detect even the smallest foreign bodies in the protected field between the transmitter and receiver. Thanks to their high shock resistance and absence of dead zones, the second generation of light curtains PSENopt II is suitable for flexible applications. As well as the initial Type 3 light curtains, which are suitable specifically for applications up to PL d, you also have Type 4 versions. 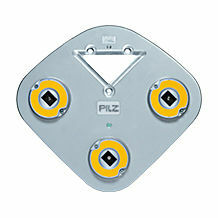 The first “seeing” safety technology from Pilz for 3D zone monitoring. The system detects and reports objects that encroach into defined zones. The PSENmat is a world first: it is a pressure-sensitive safety mat with integrated switch functionality: as such PSENmat combines safe area monitoring with an operating function.